The City of Sails, the Big Little City... The city with many names is the largest in the country, with over 1.6 million people calling it home. The renowned Mercer Quality of Living Survey ranked it the 3rd best city in the world to live and even the prestigious New York Times has named it one of the "hippest" cities in the world. Home to the largest Polynesian population in the world, 1.6 million people can't be wrong. 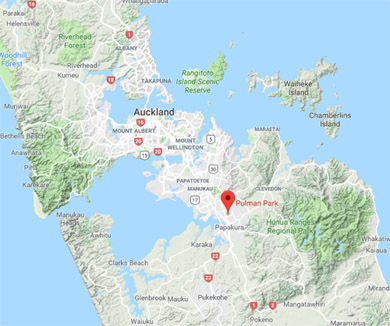 The city enjoys a stunning waterfront, with two beautiful harbours (Waitemata and Manukau), making it one of the most attractive ports in the world. If setting sail isn't for you, there is a lot more to Auckland. The city is the perfect mix of the natural beauty the country is famous for and a hip modern cosmopolitan urban area. Whether you're looking to wander through luscious bush in the Waitakere Ranges or explore the wild West Coast beaches such as Piha or Muriwai, there is something for everyone in the Big Little City. It is also a geology-lover's paradise, with over 50 extinct or dormant volcanoes to explore. Climb to the top of the tallest of them all, Mount Eden, for the best view of the city, or take the short ferry ride across the harbour to Rangitoto, the youngest of them all. Whichever you choose to visit, it is sure to be an unforgettable experience. With all of these volcanoes around, of course there are bound to be some great geocaches located on and around them. Auckland's location guarantees a temperate climate pretty much all year around. The city averages about 2060 sunshine hours per year, so plenty of time to venture out in the sun. MetService is your best bet to check temperatures, wind, tides, etc.